If you’re a parent, you know that every child’s character and temperament can vary a lot. This is very clear out on a sports field. Sometimes, where one child dives into new opportunities, another is more timid, shying away from contact. And if you’re a parent of one of these more cautious kids, you might wonder whether your child is aggressive enough to play the game. After all, you love watching your child play, but you maybe wish they’d show a little more “fighting spirit.” You can see that this lack of aggression is the missing piece in their game, something that would help them become stronger…but they just aren’t getting there. The fact is, sports aggression normally takes years and years to develop—and even then, it’s just not part of some people. If this applies to your child, here are a few pieces of advice to keep in mind, especially if you want to help without letting it affect your relationship. The first question is this: are they enjoying the game? The whole point of sports is to learn, to compete, and to have fun—so if your child doesn’t want to be there, it may not be the best fit. If your child genuinely doesn’t like the physical aspect of a contact sport, let them switch to another one to see how they find it. There are plenty of non-collision sports for kids who prefer their competition without contact! And there’s absolutely nothing wrong with letting kids jump from sport to sport at a young age. This allows them to learn which ones they like most, instead of just the one you would like them to play. Once your child has found a sport they enjoy, don’t force them to play more aggressively. This rarely works, and it often has the opposite effect. Being pushed into uncharacteristically aggressive behavior can damage a child’s self-confidence, as well as their trust in you. The bottom line? Just let them have fun. Do what you can to make the game as rewarding as possible, encouraging them to work on the key fundamentals of the sport, and to play as earnestly as possible. Kids develop their personality and character traits at different ages. And while sports aggression and courage may be coming in the future, it’s a good idea to have them perfect their skills now. This helps them build confidence in all they do, allowing them to go harder and faster each time they see a successful outcome. Over time, these little boosts of confidence may encourage them to increase their aggression, little by little—but you have to be patient. At the end of the day, all you can ask is that your child has given it their all. Regardless of the outcome of each game, let them know you’re proud of what they’ve done, and the work they’re putting into the sport. 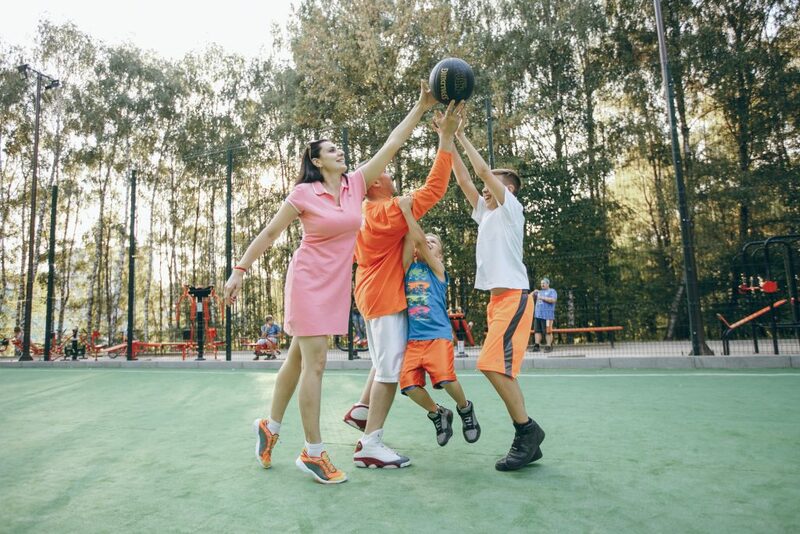 As your child matures, that sports aggression may come—but for now, accepting them for who they are, and helping them grow bit by bit, is the best move.